As a general rule, workers’ compensation covers most on-the-job injuries. However, some medical conditions may not be covered claims. This is particularly true in the case of heart attacks or cardiac problems that occur while you are working. Even if you are in the heat for hours and the boss is yelling at you and you have to move heavy objects, and you suffer a heart attack, chances are that the workers’ compensation carrier will deny your claim. First-responders who suffer heart attacks are the exception, and will be covered under workers’ compensation; however, for non-first responders, his or her heart attacks are only covered if it is the result of overexertion that is “uncommon to the type of work” that the worker is “accustomed to.” This is often called the “overexertion test,” or the Victor Wine standard. For example, a soda salesman, who usually takes orders, is told, on a hot summer’s day, by the manager of the store to restock and organize hundreds of cases of soda in the storeroom or he won’t be placing anymore orders. This may be considered an uncommon physical exertion, which would make a heart attack, under these circumstances, compensable. Also, under Fla. Stat. 440.093, unless you are a first responder, neither mental nor nervous injuries are covered under workers’ compensation in the absence of a physical injury nor are heart attacks covered as a result of emotional stress. Recognizing the stress and physicality of first responder’s positions, the Florida Legislature carved out an exception for first-responders. For first-responders, heart disease, hypertension, and tuberculosis are compensable under Fla. Stat. 112.18. 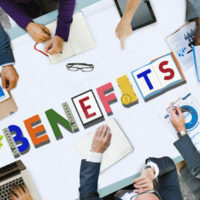 However, the employer/carrier may deny benefits if they can show, by clear and convincing evidence, that the condition was caused by something other than work. Typically, these include allegations that the cardiac event was caused by smoking, being overweight, or an employee did not follow treatment plans. But unless the employer can specifically point to a non-work-related cause , a cardiac, hypertension claim will be considered an “accident” and covered by workers’ compensation benefits on condition that the first responder did not have evidence of these diseases upon entering into the service. If you’re injured while at work, make sure that you’re getting the workers’ compensation benefits that you’re entitled to. Contact us today for a free consultation about getting your workers’ compensation. Call the Celeste Law Firm in West Palm Beach today to discuss your case.